In our last Foundation update, we mentioned a Proof of Concept Setup of a ‘Request For Proposal’ (RFP) Software Portal. We would like to share that we have chosen the Bonfire Portal. We will be onboarding NEM Service Providers to work with NEM Foundation as we ramp up inviting approved partners to contribute to the development of Catapult. With the software portal, we will see more transparency, efficiency, and integrity in the vendor management process towards the selection of third-party contributors. What is the purpose of NEM Service Providers Program? As an internationally operating organization, NEM Foundation has made it a priority to give its Service Providers Program a global and sustainable footing. Sourcing services from suppliers, subcontractors, and other providers in a rule-bound, resource-efficient, cost-effective, and transparent fashion are integral to our business approach. In this manner, the Service Providers Program is able to make a significant contribution to our company’s overall success. Quality assurance, responsible decision making, and cost savings all play a decisive role in maintaining the sustainability and competitive strength of the NEM Foundation over the long term. Who are the NEM Service Providers? Service Providers are external partners who are contracted for a particular service. Service Providers will work with Product Leaders under the NEM Foundation’s new product-focussed verticals. Service Providers need to be a registered entity, either as a business or a sole proprietorship. 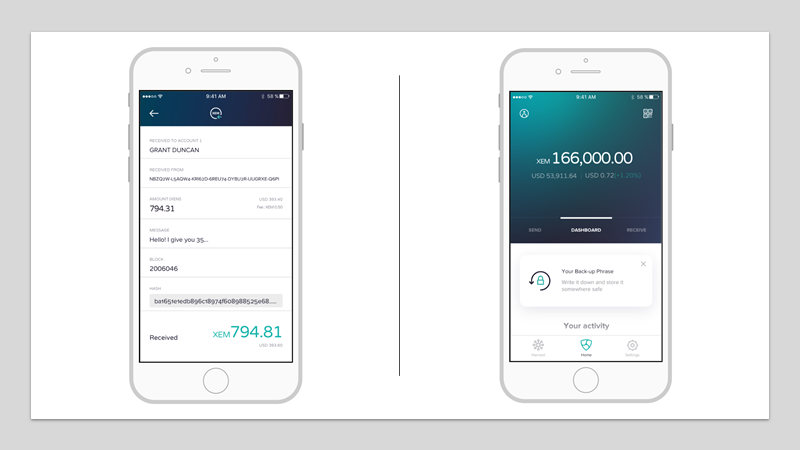 The first project we will be putting up for submission will be the Catapult Mobile Wallet announced previously here. We invite all potential partners to go to www.nem.bonfirehub.com to sign up to the portal now. This is all part of NEM Foundation’s effort to maintain transparency and integrity in the NEM ecosystem and we would like to invite all past, present and potential partners to register to be a service provider. Stay tuned for more updates our NEM Service Providers program update! Is it the same Service Partners program as NEM EU provided? No, this is a completely different program to the previous NEM Service Partners program. What will happen with the NEM EU Service Partners program? The NEM EU SP program will be discontinued. Can individuals be the Service Providers? No, only a legal entity can be a Service Provider. To work with individuals, the Foundation is developing an Ambassadors program, which will be announced in due time. Yes, and the beauty of the Bonfire portal is that reporting is built into the Portal. How can the community be confident that the evaluation process was fair? Where can I find other questions related to the Bonfire Portal? You can find it on their website or click on the link here for quick answers. How long will NF fund each region? I’m confused, the old NEMsp system was set up to generate revenue, while this is more like a transparent outsourcing system. Why did the foundation choose the same name as the previous program? Am I mistaken? This is just an example of what the previous NEMsp was. Did the model fail, or evolve or are they just two completly different things with the same name? Good day and thank you for the question. There was NEM Service Partners program in EU, which will evolve to another program for partnerships and certification. The program announced above is NEM Service Providers. Great question. Before I answer, I want to remind the community that in our funding proposal for the 2019 NEM Foundation, we outlined our goals for the new NEM Foundation. Today marks an important first step toward us fulfilling our goals. The launch of the NEM Service Provider Program raises the bar by offering a professional, secure, customizable, scalable and consistent RFP solution to empower the wider NEM/blockchain community to help us build and execute on projects (outlined in the funding proposal) that NEM Foundation wants to expedite with Catapult. In return, this will help the health of the wider ecosystem. A lot of thought and reflection was put forth reviewing the 2018 Foundation’s failures and successes including the NEMsp program. 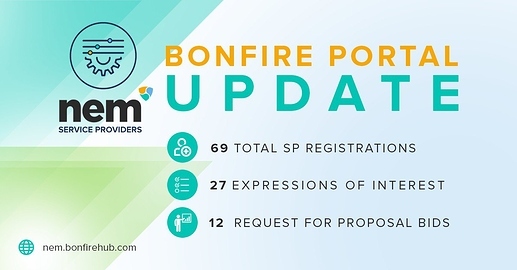 We explored many names for this new RFP portal and still felt that the name NEM Service Provider Program best captured the wide range of talent we want to attract. In contrast, NEMsp was a pilot program in the EU that had success but also struggled with implementation. A lot of good came from the pilot and I’m thankful for the hard work done by the EU team. One big takeaway from the NEMsp pilot is there is a need for businesses to have service integrators/seamless support to onboard onto blockchain. We are actively working on solutions for this and will discuss how we plan to support this in the future. I believe we will have a higher chance of success by offering companies and devs updated tools and dedicated NEM support that scales globally. As a result, the NEMsp pilot has been indefinitely put on hold and our focus has shifted to other areas–specifically onboarding support through the NEM Service Provider Program. The launch of the RFP portal today should send a clear signal we are not competing with the wider NEM ecosystem but rather we are strengthening it. We are helping to better support the builders and dreamers in the NEM ecosystem by opening up paid projects to push the tech forward. I hope people don’t get hung up on the name but rather focus on the outcome. Many apologies, it should be completed by today. Instead of attracting just commercial legal entities to contribute to the consolidation of the NEM eco-system perhaps it’s a good idea to attract computer scientists/developers from major universities as well. They are up to date, are the future, are very capable, and money for them is more valueble since they are just starting in life, all this means they are highly motivated to deliver, also by getting them involved perhaps they will become inspired like Gregory to become actively involved and stick around. NEM should not be just a commercial project that can be compared to other projects like NEO, Cardano, Ethereum etc. it should honour it’s founding intention of becoming a global movement. In the beginning it was New Economy “Movement”. NEM is worldwide, people love its branding, its potential, all the ingredients are there. So far we have seen private businesses utilizing private chains but I think the potential of the public chain is far superior, yet it’s unexplored since so far the NEM project has been dominated by people making their living using private chains. Hopefully there is a plan for NEM public eco-system to flourish when Catapult is launched, hence there is a need for scientists getting involved in NEM. NEM as a platform should become like the internet, being able to do public stuff (like visiting websites, watching Youtube etc.) as well as private stuff (e-mail, Skype etc.). XEM as a payment method, store of value, reserve currency etc. etc., its value should be a reflection of the quality of its utility in the economies of the world and the value of the NEM platform as a whole. Anyway just my two xemmies ;). Wow! So many brilliant ideas in one message! The new NEM Foundation is a community-driven and oriented Foundation. Besides of attracting Service Providers as legal entities we also looking for the opportunities and best way to involve individuals to work with us. The exact form of interaction is not decided yet (it can be hiring or ambassador model or bounty program, etc), but you can be sure that we are interested in attracting as many talented and blockchain passionate people as possible. 12 days no say nothing?? When actuality? The evaluation team will review the proposals for ten (10) days and then award the contract for the successful Catapult Mobile Wallet Developer SP by April 30th. After that date, a full project progress report will be published.